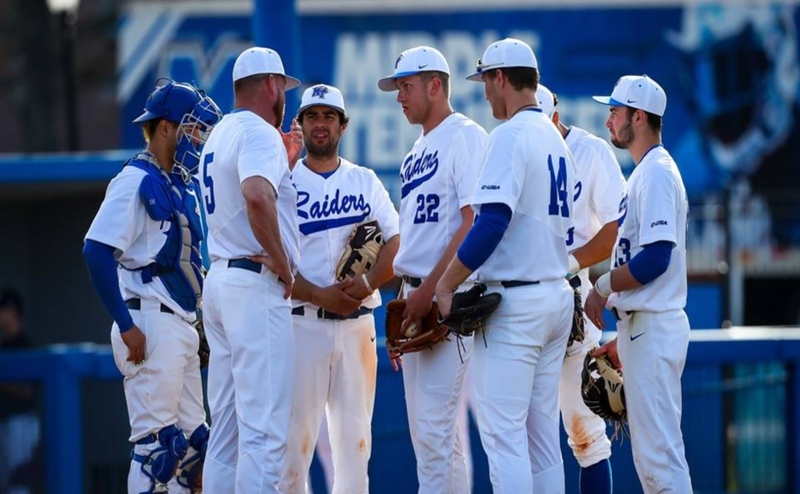 Middle Tennessee (20-24, 7-14 C-USA ) wasn’t able to avoid the sweep in their series with No. 25 Southern Miss (34-12, 16-5), as they fell 13-9 Sunday afternoon. For a majority of the game the Blue Raiders looked as if they were the better team, leading 7-3 at one point. 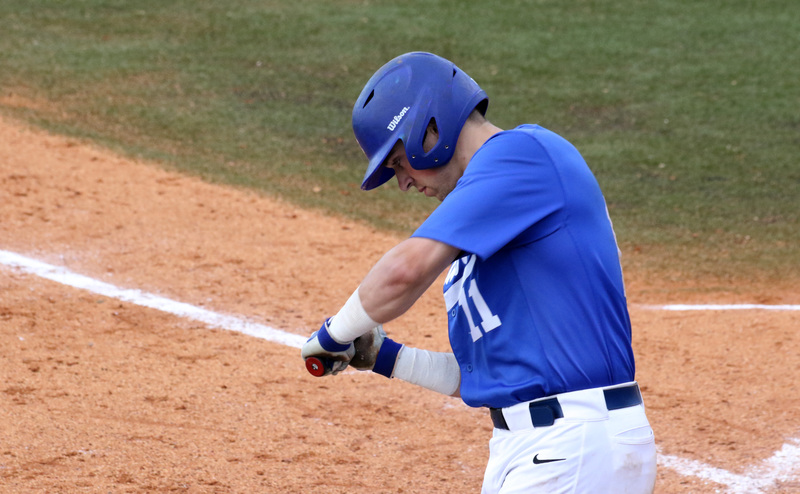 A big eight run inning in the ninth from the Golden Eagles proved to be too much for MTSU. High scoring innings from opponents is something that’s been a kryptonite for MTSU this season, as it was today. The first inning went through relatively quiet for both sides, with neither team bringing a run across. The top of the second saw Southern Miss take the lead, 1-0. MTSU stepped up in the bottom of the second and strung together a nice inning that started at the bottom of their order. First baseman Kaleb King started the side off with a first pitch homer over the right field wall to tie things up at one apiece. Sophomore third baseman Drew Huff hit a line to third, but it was caught for the first out of the inning. Left fielder Manuel Lopez was walked moments later. Catcher Chaz Vesser and shortstop Riley Delgado would proceed by hitting back-to-back singles to load the bases. Standout Brad Jarreau was the next man up, and his at bat saw three runners come across in a strange turn of events. Southern Miss’s pitcher balked, causing each base runner to advance, bringing across the second run of the inning. A wild pitch brought Vesser across and moved Delgado to third. Jarreau was able to get an RBI in the at-bat with a sac fly to right field that brought in Delgado for the last run of the inning. The Golden Eagles loaded the bases in the top of the third, but starting pitcher Jake Wyrick was able to get out of the side with back-to-back strikeouts and a groundout to Delgado that wrapped up the top half of the inning. The third inning saw the Blue Raiders bring in two more runs. King was walked and then Lopez was hit by a pitch. Vesser was able to bring the two runners in on a RBI double to right center, and make the score 6-1. Both teams were scoreless until Southern Miss notched two in the top of the sixth. 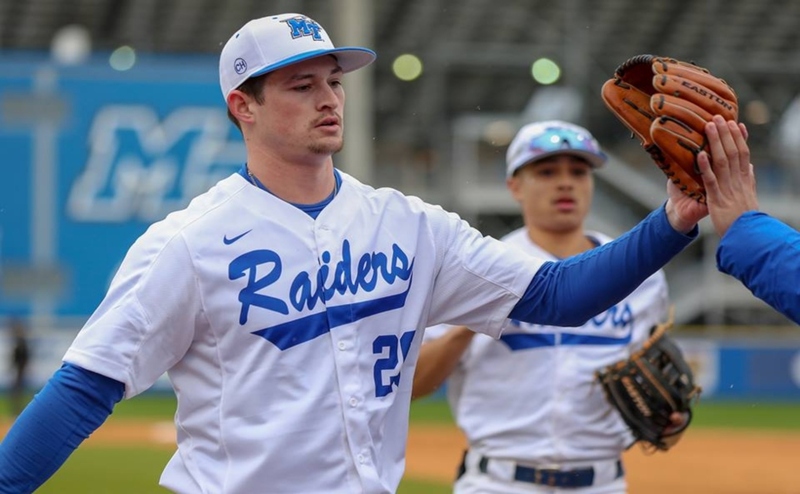 MTSU was able to answer back with a run of their own in the bottom of that inning on a Ryan Kemp single that brought Delgado in and give the Raiders a 7-3 lead. Southern Miss got two more runs in the top of the eighth to cut the lead to 7-5. Vesser got on base to start the eighth inning with a single, and Delgado came up to bat. This is where the game would be paused for an extended time due to a lightning delay. After the two hour delay, Delgado was able to hit a single that sent Vesser to third, which was followed up with a Jarreau RBI single. MTSU fell unsuccessful in getting any any sure runs across the board. 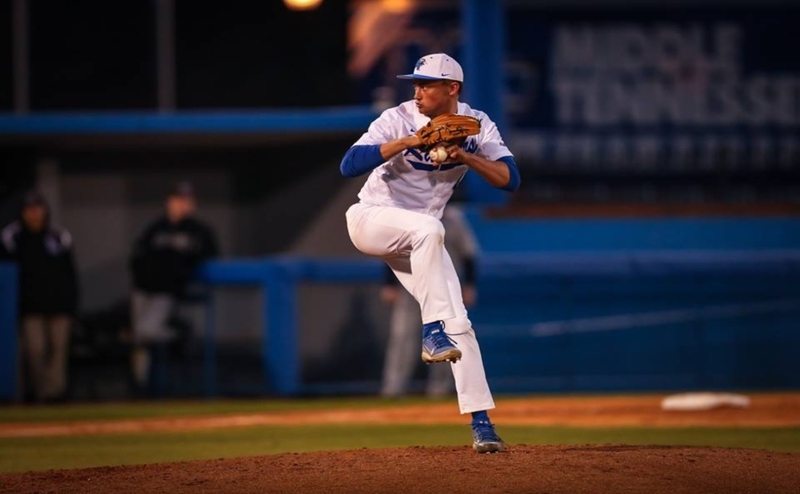 The Blue Raiders fell apart defensively in the top of the ninth, however. The first three batters reached on two walks and a hit by pitch. Do-it-all athlete Devin Conn was brought in to pitch with the bases loaded and struck out the first batter he faced. A walk brought in the first runner of the inning, followed by two RBI singles in a row to make the score 9-8. Austin Dennis was then brought in to pitch, but his first batter faced also resulted in an RBI single, making it 10-8. 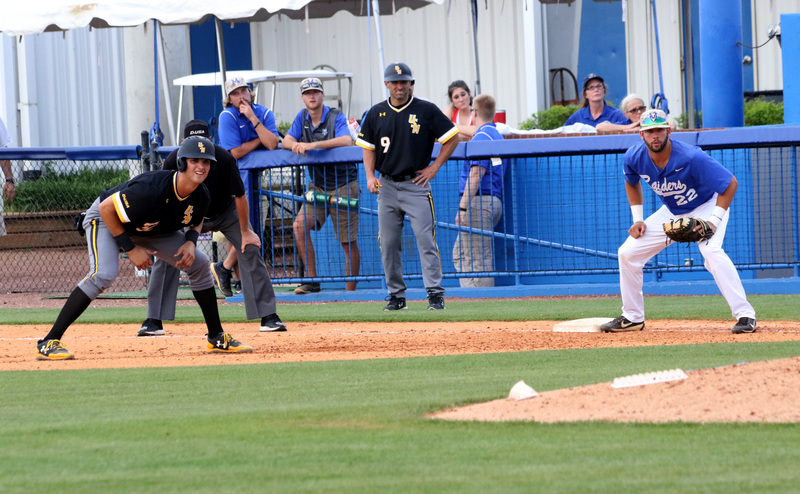 With runners on first and third, Southern Miss sent a runner to steal second. Vesser threw to second and the runner on third went. The Blue Raiders allowed the run to score, but got the batter out trying to steal second. Southern Miss wrapped up their high scoring inning with a two run homer, pushing their lead to 13-8. Huff was able to reach first on the first at-bat of the ninth. 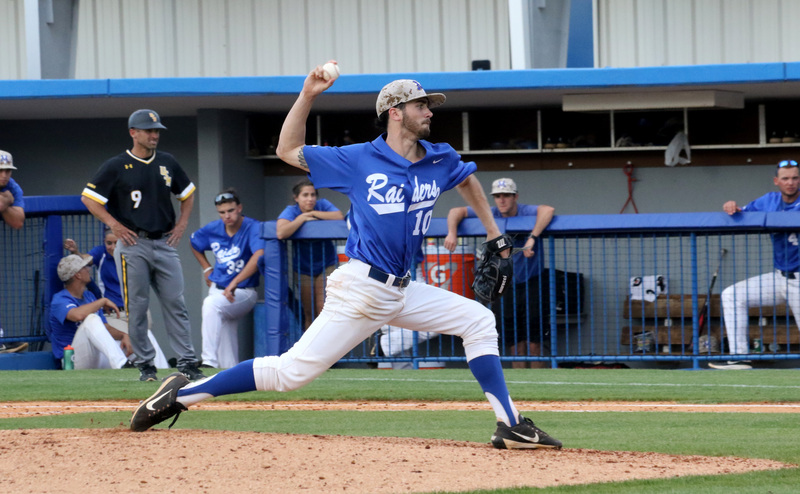 Consecutive outs put the Blue Raiders in a hard position. Delgado was able to bring a run across on an RBI single, but that’s all that they were able to do offensively in the ninth, dropping 13-9. 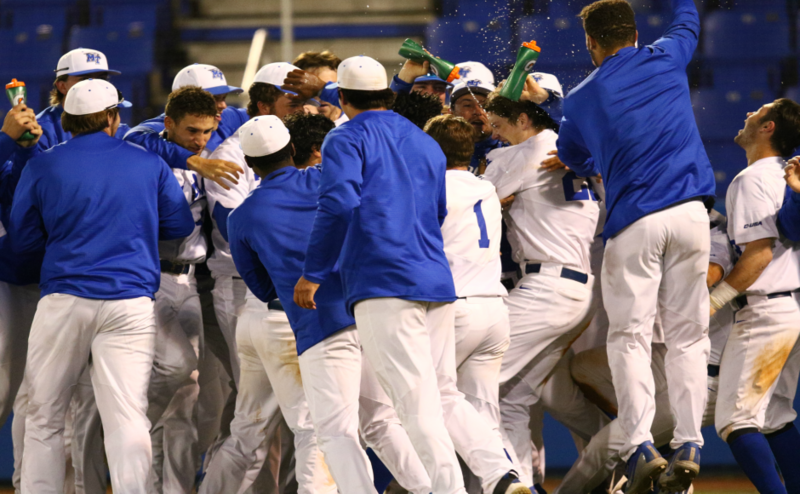 The Blue Raiders’ next game isn’t until next weekend when they travel to San Antonio for their series with UTSA .